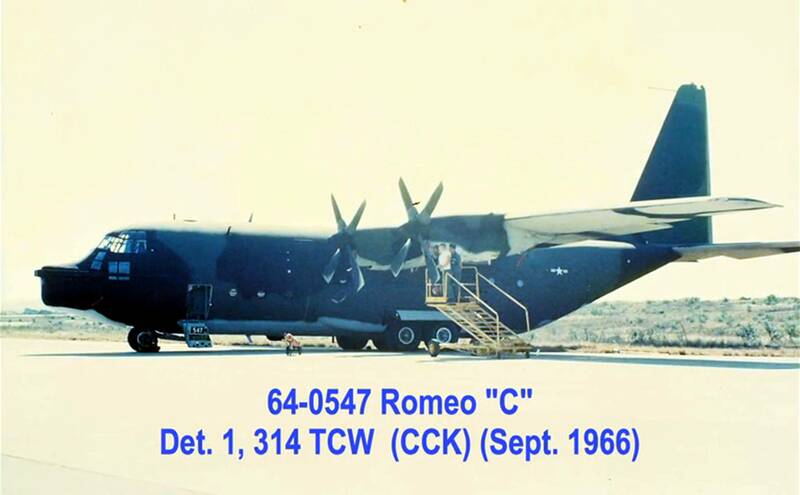 In 1971, while stationed at Nha Trang AB, Vietnam, I was fortunate to work on the C-130E Rivet Clamp aircraft (later upgraded and designated "Combat Talon"). I was an ECM technician assigned to First Flight Detachment which was, at that time, part of the 90th SOS. 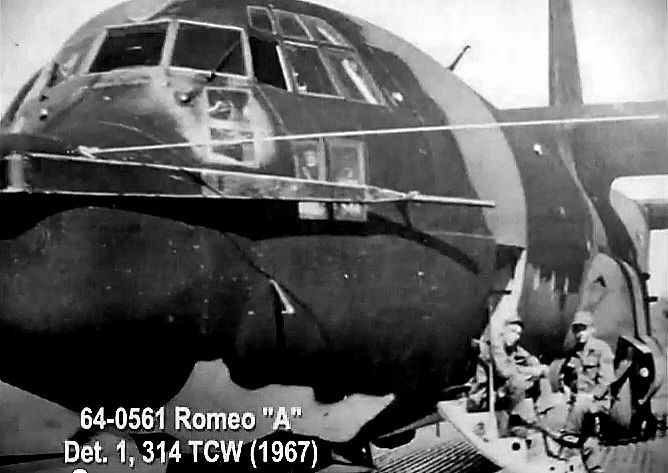 These were specially modified C-130 aircraft that were painted in a black and green camouflage scheme. This gave them a very sinister look. Their many unique modifications included terrain-following radar, ECM sensors. Low Light Level TV, and a ground sensor for locating vehicles on the Ho Chi Min trail. 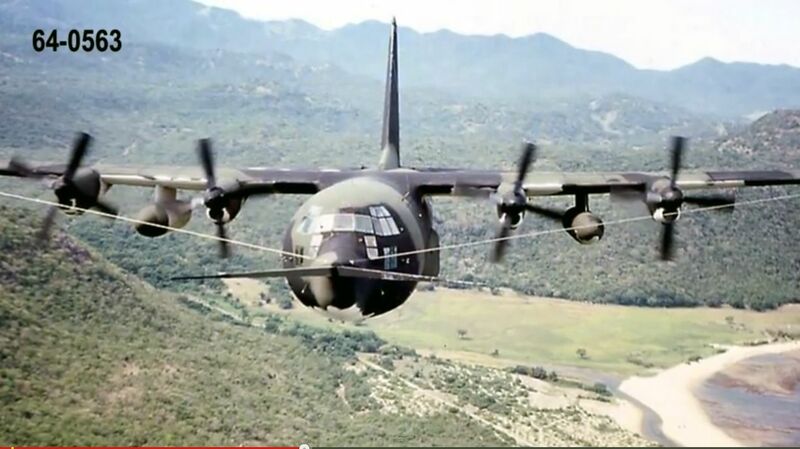 They were also equipped with the Fulton aerial pickup system (made famous in the movie "The Green Berets"). Many of the sensors they carried would later be used on the AC-130 gunship, but the Rivet Clamp aircraft carried no weapons. 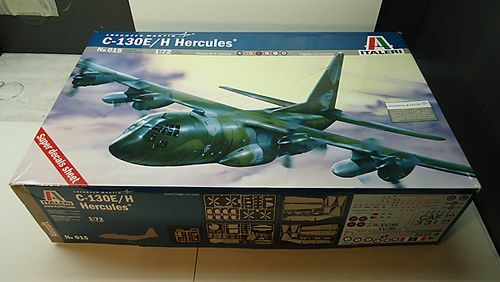 The aircraft I've decided to model is aircraft 64-0555 ("Triple Nickel," shown above) using Italeri's 1/72 C-130E/H kit. 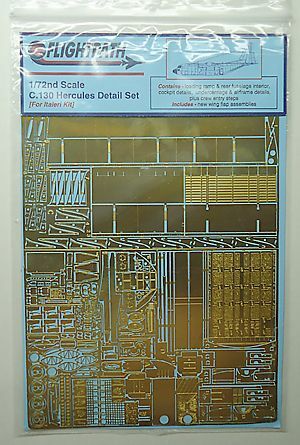 I'll be adding the nose from a Flightpath C-130E-1/HC-130H/HC130P Conversion set and PE detail from Flightpath's C-130 Hercules Detail Set. 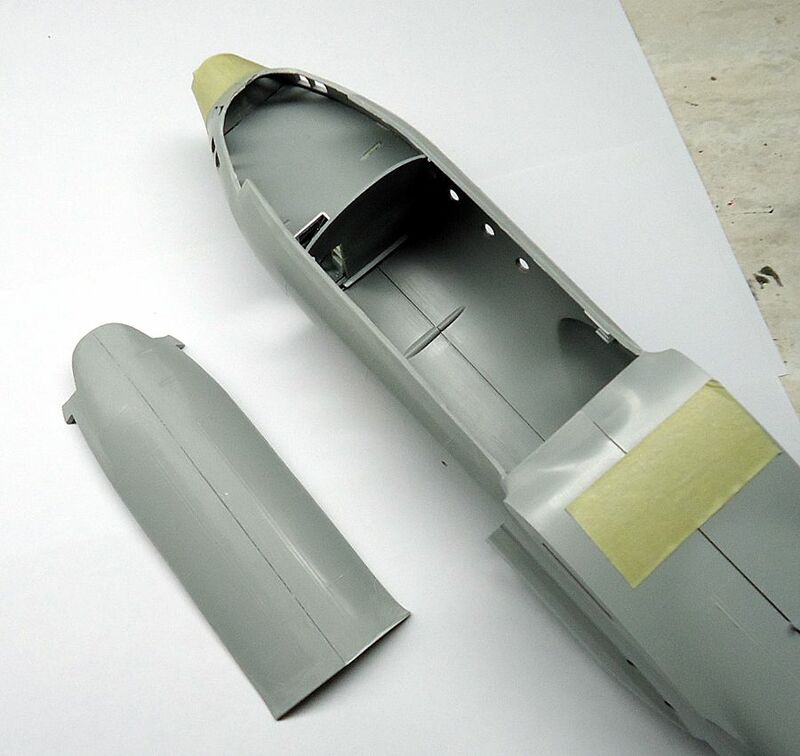 I started off detailing the main landing gear wheel wells. The kit wells were pretty inaccurate so I made my own. I modified the gear struts and added some cables and piping. I also wanted to detail the crew cabin and the cargo hold. The Rivet Clamp cargo hold included a Special Operations compartment that I'll call the "Talon" compartment, where the ground sensors, ECM equipment and some special radio equipment consoles were located. In the model so far, I've detailed the lower deck equipment bay, the galley and the navigator's position. I modified the kit supplied navigator's seat and added seat belts. I also added the circuit breaker panels along the sides of the flight deck. The kit's flight deck was incorrect, as was the rear cabin bulkhead so I made my own versions of both. The picture below shows the raised deck for the pilot,co-pilot and engineer's seats temporarily in place. I also went ahead and built and detailed the center console. It was necessary to get the raised deck and console in place to accurately position the main instrument panel which I'll add next. 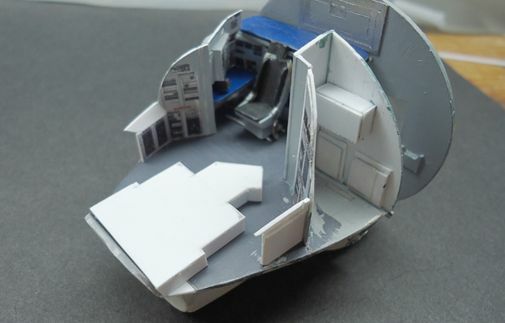 Once the crew cabin is finished, I'll start on the Talon compartment. 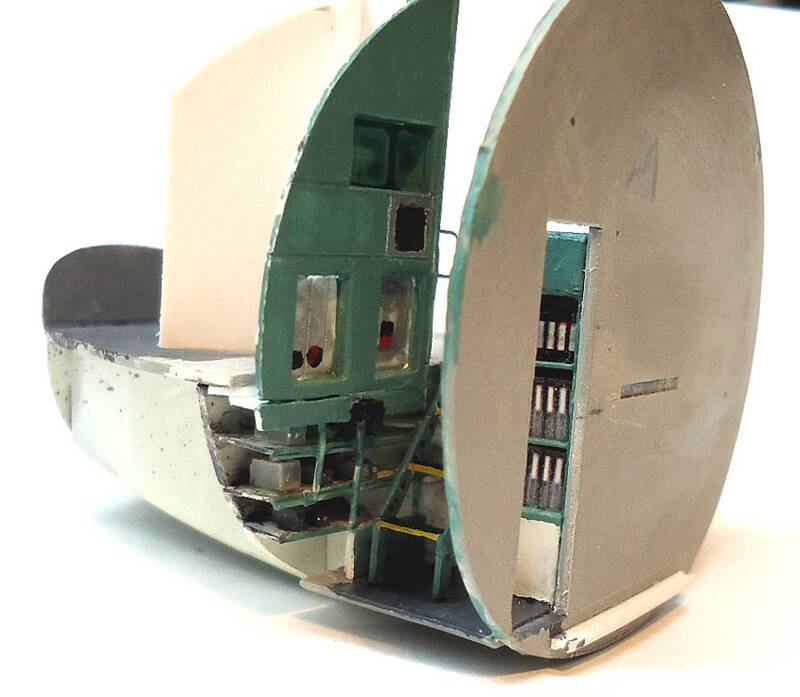 In order to be able to see the detail in the crew cabin and cargo hold, I've cut out a section of the top of the aircraft that will be removable, as shown below. Thanks for looking and I welcome any comments,criticisms or suggestions. Good lookin' Herk! Keep the pics coming! Nice to see more C-130s built around here, especially the SPECOPs types. The Talon was the first aircraft I supported as a young Life Support technician so many years ago. I'll be following your progress with enthusiasm. I've enjoyed your progress so far as it bought back fond memories. How did you do the circuit breaker panels? Thanks, Guys, for the complements and support! Rich, I used photographs I found on the internet and scaled them down, then printed them on glossy photo paper. Then I cut them out and glued them to plastic supports. You need to save the images at a resolution of at least 900 ppi or the details will become pixelated when scaled down. I used glossy paper because it reproduces the tiny details better than matte paper; I then over-sprayed them with dullcote to reduce reflections. What a great subject. I'll be following this with interest. Do you have any other pics of these aircraft (especially interior shots)? I was only able to find a few exterior shots of the original aircraft. I didn't find any interior shots, which is not surprising since these aircraft were highly classified and photography was prohibited. Obviously though, some pictures were taken. Most are low resolution and many are from faded photographs. Below are a few of the better pictures. Welcome, Hajo! Actually, that's just how the paint has worn on the props. These planes saw a lot of service and most likely would have had to go to Taiwan, Okinawa or the Philippines to get repainted. And Nha Trang was located right on the beach so there was a lot of blowing sand, plus these planes flew at tree-top level so it wasn't unknown for them to prune a few bushes on the way :)/>. Great pics, thanks for posting. I've read that linked article before, agree - it's a great resource for anyone who is interested in the Combat Talon and it's predecessors. Think I read somewhere that the Rivet Clamp birds had the fuselage national insignia painted on a removable placard so that for missions in "sensitive" areas, they could be completely anonymous (as if any other country would be flying green and black C-130's, low level at night). Thanks, 11bee! All too true about the placards. And the flight crew had their insignia and names attached to their flight suits with Velcro. When they were heading out for a mission, everything came off. It was called "sanitizing." I'll be following your build of a C-130E Rivet Clamp aircraft with a great deal of interest, as it's a rather unusual aircraft, at least to someone like me whose more a modeler then a military aircraft enthusiast. Welcome, Joel! They were definitely unusual aircraft. They were the first of a new breed of specops aircraft that are still evolving. Well, actually, they weren't exactly the first - there were already C-123 "Black Bats" at Nha Trang. They were equipped with ECM equipment and had been carrying out these types of low-level missions for several years prior to Rivet Clamp - except they were doing it without terrain-following radar. The C-130 version was created because the 123's just couldn't haul enough cargo. Jeff, where did you work on the Talons? 8th SOS, Hurlburt Field 1991-1995. Moved around AFSOC thereafter until 2000. I just started terminal leave yesterday, wrapping up a 24 year career. My last 10 years were spent on my belly as a boom operator on the -135. Great start and end! Love your build. 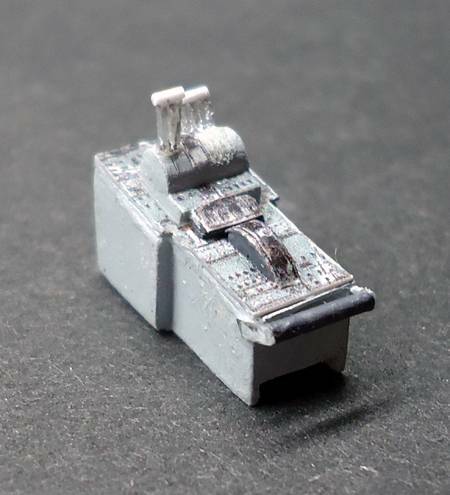 I remember we had a 1/72 model at the duty desk of a black and green Talon, someone had made. 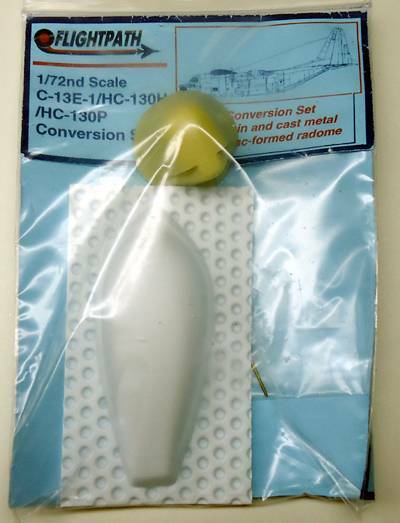 Way before any resin parts were available as well. I'm really looking forward to yours. Out of curiosity, any info or pics of the C-130 "Heavy Chain" aircraft? An even more interesting bird (in my opinion) because they were much more camera shy. No, I've never seen any pictures of the C-130 configured as Heavy Chain aircraft. I did find out that two of the original Rivet Clamp aircraft, 64-0564 and 64-0565, were diverted to Heavy Chain back in August 1966. Roger that, Hajo! I saw that on the Spec Ops group build. A sensational model and beautifully done! Hey, that's cool, Jeff! Congratulations on your retirement! I retired in '87 after 20 years - best 20 years of my life. I had the opportunity to gaze out the boomer windows a few times on deployments. An absolutely fantastic view! Thanks Russ. It's been a blessed life. I need to look around for a Fulton instruction placard that I salvaged from the garbage when the the yokes were finally pulled and the program closed. It was part of the container that woud be air dropped to a rider on how to set up the system for extraction. Keep pressing with yours. You've got an anxious audience. I know this cockpit detail is boring but I've set myself a goal and I'm determined to get there, so here's the completed crew pedestal. I had to modify the seats as they were designed to sit directly on the crew deck instead of on a pedestal as in the actual aircraft, and therefore too tall, as well as inaccurate. 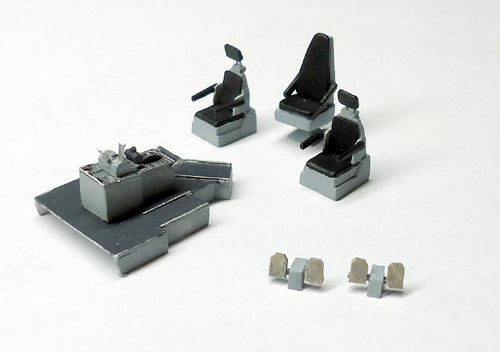 The rudder pedals are a little oversize because I had to guess at their dimensions. Fortunately, they won't show that much. Wow, that would be something to have! There were probably dozens of those lying around the aircraft when I was there but I never thought to ask for one. I believe the story of the Praetorian Starship shows some diagrams of the Fulton system and how they used it.